Why businesses across all Industries need an ERP system? ERP Software for Business has become as crucial and as consequential as is fresh and clean air for the living. With counterparts that modify the way businesses work and the overall processes, and the way ERP tools have actually made the businesses more suited to the technological advancements and changes; ERP systems have really changed the way businesses worked earlier. Invoicing, Billing, inventory management, sales point management and project tracking, employee management and data management – ERP systems can do everything about anything related to business. The following post shall be reflecting on the various ways ERP Software for Business is beneficial and why does every business should have one. With the ability to do everything automatically and tools available for every task; removal of the need of manual work such as account management and inventory management that was really mundane and could cause havoc if done wrong; the ERP Software for Business is a real blessing. Saving of man-hours; cost-cutting; better utilization of manpower and all the other kinds of resources and 100% accuracy and precision of working – having a good and reliable ERP Software for Business can make wonders happen. 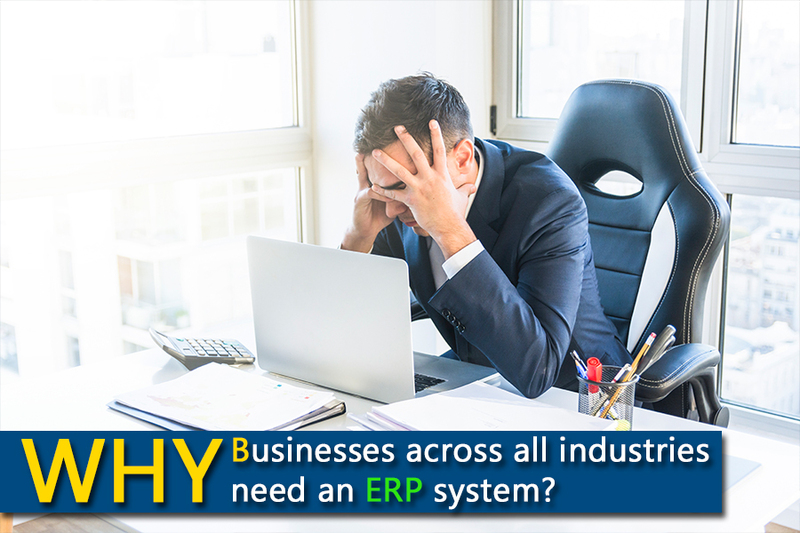 ERP Software for Business has made it possible to integrate all the business processes and office departments which is the most effective way to deal with the redundancy and degeneracy introduced in the work by human errors. With a lot of employees to deal with and a lot of departments to manage, especially if your firm has offices in different countries, the efficiency of the complete system is dependent on the efficiency of a human. Hence, errors and mismanagement are bound to happen. ERP Software for Business perfectly manage the data and employees without any constraint and streamline the business processes in the best way possible. Confidentiality and Security of data is something every company wishes for; especially if it is a data-dependent company that has warehouses of large scale. ERP Software Importance is really felt in situations when one has to deal with various Terabytes of data and trace patterns for sale and customer preferences from it. Businesses feel the Need of ERP in Organization for flawlessly managing the data without the loss of integrity and security. With different roles assigned to different persons in a company, it becomes easier to manage the security of data and other resources. The ERP Software for Business increases the speed of all the processes and business operations by efficiently and effectively managing the tasks at hand. The business growth should match the speed of the internal processes and operational speeds. If it doesn’t happen, then losses are imminent. The good ERP software can be delegated with many major tasks and thus reduce the costs and requirement of personnel recruitment. When you own a business that relies on engaging new customers and maintaining the loyalty of the already existing customers, the actual Need of ERP in Organization is felt. The good ERP software is well-equipped with the CRM tools that automate the process and help you manage your customers in the best way possible. The ERP Software helps you control your businesses in the best way possible and also analyze the data; spot trends and do proper monitoring of every business operation and process. The software doesn’t allow any kind of lapses whatsoever to occur as in a non-automated or manual environment. This is because they ensure that the system stays in a perfectly integrated state at all the times; regular maintenance is ensured and accurate report generation is there. Other benefits of employing ERP Software for Business include dealing with Data Duplication; Enterprise level management; sales management and report generation without any error and perfect completion of mundane tasks that become erroneous with human involvement. Need of ERP in Organization – Why does EVERY business need it? Having understood the benefits of having the ERP software, let us find the Need of ERP in Organization of any type and any size. The ERP Software streamlines all the processes. Hence, if you have a start-up and want to cut on the costs of having more employees, the tasks such as data management, account management and CRM can be more than perfectly handled by the good ERP software. The manual data entry jobs can be perfectly avoided with the ERP solutions. Inventory management and employee management inclusive of the payroll etc can be done with ERP solutions in a more efficient and better manner. Project management and module tracking become less accurate when done by humans and ERP Tools can make perfect decisions and assessments. With less investment required for each task and issue handled in the businesses, the Need of ERP in Organization of all kinds and sizes can be justified and satisfied with a decent ERP Solution customized or tailored for a particular business. There are lots of free ERP solutions available online, but choosing one should be done after careful reflection on the customer reviews and ratings of previous clients. 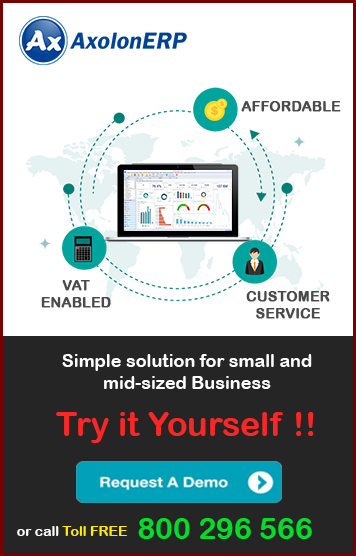 ERP Software for Business makes your business ready for future and modern markets. So, choose one and stay ahead..!! !